Showing results by narrator "Bill Ouellette"
How to Mold Your Child During the Most Crucial Stage! Parents often encounter misunderstandings and communication problems with their kids during their pre-teen stage.If you can't get your pre-teen to cooperate with you, don't get frustrated! We have the right solution for you! Have you tried everything just to get through your pre-teen's world? Are you getting exhausted in talking to them because the tension between you and your child is just getting bigger? 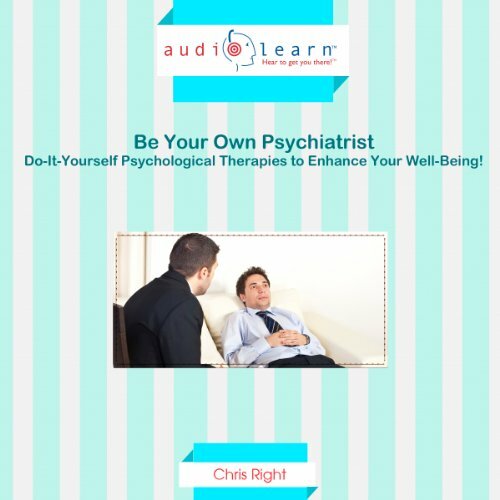 Do-It-Yourself Psychological Therapies to Enhance Your Well-Being! Psychiatrists charge per hour, per session. Consulting with them certainly costs a lot of money. If you can train yourself to become your own psychiatrist, would you let up that chance? You might have consulted a psychiatrist for certain reasons. Some people have major personality problems like anxiety, depression, and extreme shyness that they would like to get rid of. Some want to get rid of a personal problem that's been bugging them. And others would like to enhance their personality, change their behavior, and live a better life.